The Florida Annual Conference is pleased to announce the hiring of a veteran journalist to bolster its communications efforts. Cary McMullen, a journalist for newspapers in Georgia and Florida for 16 years, will join the Conference as Manager of Communication Services on February 28. McMullen has served as the religion editor of The Ledger in Lakeland since 2000, and has been on staff at the newspaper since 1997. In his new role, McMullen will be responsible for writing and editing stories and articles for the conference’s news web site, managing freelance writers and overseeing new digital and social media initiatives. He will report to Managing Director of Connectional Relations Gretchen Hastings and assist her in planning the Conference’s communications strategies. McMullen fills a staff position vacated in December 2010. McMullen earned his M.Div. degree from Duke Divinity School and has an M.A. in Religion from Duke University. He served as pastor of Presbyterian Church (USA) congregations in Camilla and Pelham, Ga., for four years before becoming a journalist. McMullen worked as a general assignment reporter at The Cordele (Ga.) Dispatch before coming to The Ledger as a feature writer specializing in religion. He is known in the Lakeland area for his weekly opinion column, Beliefs, which also appears in a few other city newspapers owned by The New York Times. For a three month transition period, McMullen will continue to write the column for The Ledger and other papers. 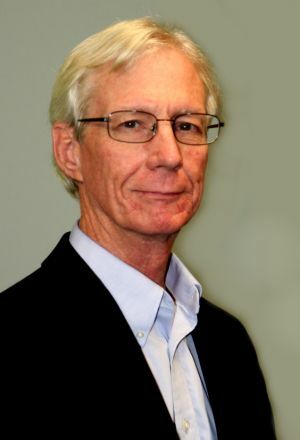 McMullen has covered Florida Annual Conference meetings every year since arriving at The Ledger, and he also covered the General Conference of the United Methodist Church in 2000, 2004 and 2008. In addition, he has covered the national meetings of the Southern Baptist Convention, the Evangelical Lutheran Church in America, The Episcopal Church and the U.S. Conference of Catholic Bishops. A native of Texas, McMullen has a B.S. from Texas A&M University. He also received an M.A. in Christian Education from the Presbyterian School of Christian Education (now part of Union Presbyterian Seminary) in Richmond, Virginia. He is married to Evelyn McMullen, who is Director of Christian Education at North Lakeland Presbyterian Church. They have two children: Russell, a graduate student at the University of Florida, and Grace, a student at the Maryland Institute College of Art in Baltimore.